Organic SEO is the best choice for search engine ranking. However, a white hat SEO campaign takes time to evolve and will never yield results overnight. Thus, some companies opt to engage in pay per click advertising campaigns in order to supplement other SEO efforts. A PPC advertising campaign is a good way to get quality traffic to your company website quickly. The downside of PPC is that it can be expensive and even ineffective if it is not managed properly. Our team will conduct keyword research and monitor your PPC campaign on a daily basis to ensure optimal results at the lowest possible price. On Target Media leverages the power of SEM (Search Engine Marketing) across desktop and mobile devices in order to drive qualified leads and traffic to your website. SEM is all about intent. 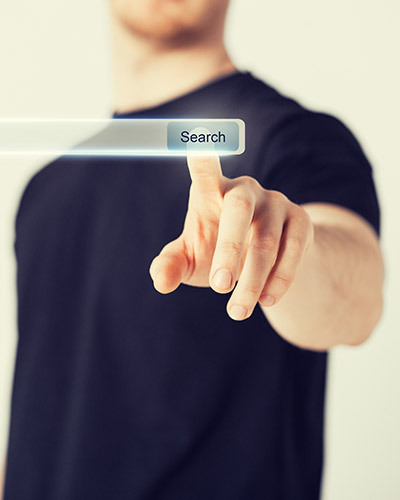 Your campaign is targeted to those who are actively searching for your services and/or products on Google, Yahoo, and Bing! SEM campaigns can be targeted based on zip code, DMA, geo fenced, and even custom drawn to any area you want to target in the US. On Target Media will do all the heavy lifting including campaign keyword creation, call tracking setup, and daily optimization by your own Google Certified campaign manager in order to get you the best ROI. Display Advertising, also known as banner advertising is a great way to deliver brand messages, engage consumers with interactive experiences, and to generate a direct response from consumers. Our team will set up your display campaign to get your brand and/or message in front of millions of potential new customers/clients on the internet whether they are using a desktop, tablet, or mobile device. Display advertising measure metrics such as impressions, clicks and conversions to calculate your ROI. In the last few years, social media marketing has become an integral part of any online marketing campaign. Because social networks gather so much personal information it allows an advertiser to target an audience based on much more than just demographic. Social network advertising has opened the door to deeper interest, behavioral and connection-based targeting methods. Our experienced team will create, manage, and optimize your social media ppc campaign in order to get results. Online Video Advertising is a must have for your marketing strategy. Online Video Advertising is naturally engaging and vital for businesses to offer content that is easy to digest. Online Video Advertising targeting will be able to zero in on the right people based on who they are, where they’re located, and what they’re interested in–for example, men aged 18-34 in Las Vegas or women who enjoy travel. Our team will create your business an engaging campaign that will reach potential consumers across mobile, tablet, and desktop devices ensuring your brand is reached on all platforms.